A good painting contractor can earn as much as $30.59 per hour. If that's higher than your current wage, you might want to know more about switching jobs. Right? That said, you may also have some doubts about your ability to work as a painter. You may feel as though you don't have the necessary experience. You might also have concerns about your ability to find clients. 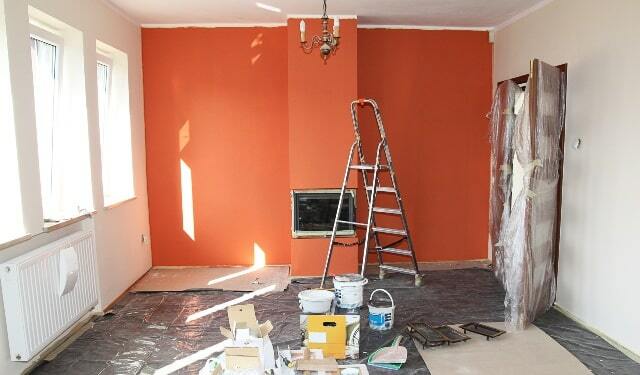 Below you'll find some tips that'll help get you started as a painting contractor. If your current job is as dull as watching paint dry, these tips should help you transition into the exciting world of painting. The paperwork you need to run a painting business is going to depend on the state you live in. In some regions, you'll need a license before you can do any painting work, while others don't make such demands. To make sure you go about things in the right way, reach out to your local authorities. Make sure you tell them exactly what you intend to do, so that they can provide you with accurate advice. You'll also want to obtain some insurance that'll help you cover your costs, should you injure yourself while working on a project. You'll also need some 'liability' insurance, so you're protected in case there is any damage to a clients property, during a painting project. Before you take on any work, it's worth thinking about how good you are at painting. If you have little to no experience with painting homes, you'll need to figure out how you can develop some talent. One of the best ways to do this is to work for someone that already runs a painting company. By working for them, you'll learn all the skills needed to deliver a quality painting project. If you can't find any job opportunities, consider asking someone if they'll let you work for free. Though working for free is probably the last thing you want to do, it might be the only way to gain skills in a short period. Plus, in the long run, working for free can result in you earning more money as a contractor. After all, the better your painting skills are, the more work you'll be able to land. If you want to save money, you have the option of buying 'used' painting equipment. The Marketplace section of Facebook can be a great way to find used items that'll help you complete your painting projects. Some of these items might even be free, provided you're willing to pick them up. If you're short on cash, and you want to buy brand new equipment, you can use a loan to help fund your business. Of course, taking out a loan comes with its own risks, and you need to be confident about your ability to pay back the loan. To limit your risk, only borrow what you need to buy the equipment, and nothing more. To calculate this figure, create a spreadsheet and then list out all the items you'll need, plus the amount each item will cost. The total sum should represent how much money you'll need for the loan. You'll likely need a van of some sort, but if you're short on cash, you might not be able to buy a brand new van. If you're in this position, there's the option of leasing a vehicle for your business. By leasing a vehicle, you'll only have to make small monthly payments, as opposed to a large upfront payment. This can help you get the vehicle you need, without having to use up all of your savings. Keep in mind that different companies will provide different leasing agreements. So make sure you shop around so that you find the best deal for your business. Perhaps one of the hardest aspects of running a painting business is actually acquiring jobs. If you don't know how to promote yourself, you'll forever struggle to make it as a painting contractor. To help make things easier, you should think about creating a website. This website should provide a brief overview of the services you provide and which locations you cater to. If you're interested in learning more about how you can create a website for your painting business, this site is worth checking out. It would help if you also thought about creating some flyers for your local area. On these flyers, you may want to promote some kind of special offer. Though such an offer might lead to lower levels of profit, taking this step can help you secure your first batch of clients. Following this, you may then be able to generate clients as a result of 'word of mouth'. These subsequent clients will pay the standard rate, thereby allowing you to make a 'normal' level of profit. As your painting business grows, you'll come to realize there's only so much painting work you can do. To take things to the next level you'll need to hire some help. That said, it's critical you don't rush into hiring someone, as poor work standards can harm the reputation of your company. If you have an upcoming project, consider asking a potential employee to come along and help you. Use this project as a chance to review the quality of their work. If their work isn't up to standard, question whether this person is willing to work on their skills. Give them some tips and see whether they follow your advice. If they take action on your suggestions, it can be a sign that the person is worth working with ambitions for the long term. Which is a good sign. Ready to Become a Painting Contractor? After reading this post, you may be ready to strike out on your own and become a painting contractor. However, if you're feeling nervous, remember that there's no need to rush into things. You can always take on small painting projects alongside your current job. Then, once things are going well enough, you can quit your day job and go into painting full time. It might take weeks or months to get to that point, but as long as you keep working hard, there's no doubt you'll get eventually reach your goal. Interested in how you can use digital marketing to promote your painting company? Check out this post to learn the top digital marketing strategies of 2019.